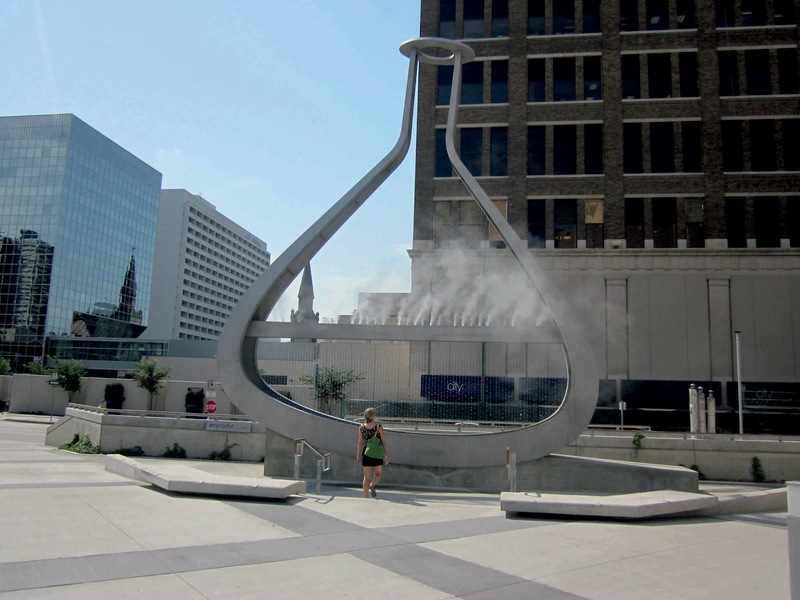 As part of Winnipeg’s Public Art Program, Vancouver-based Pechet Studio won an international competition to create a public artwork to invigorate the center of the city. 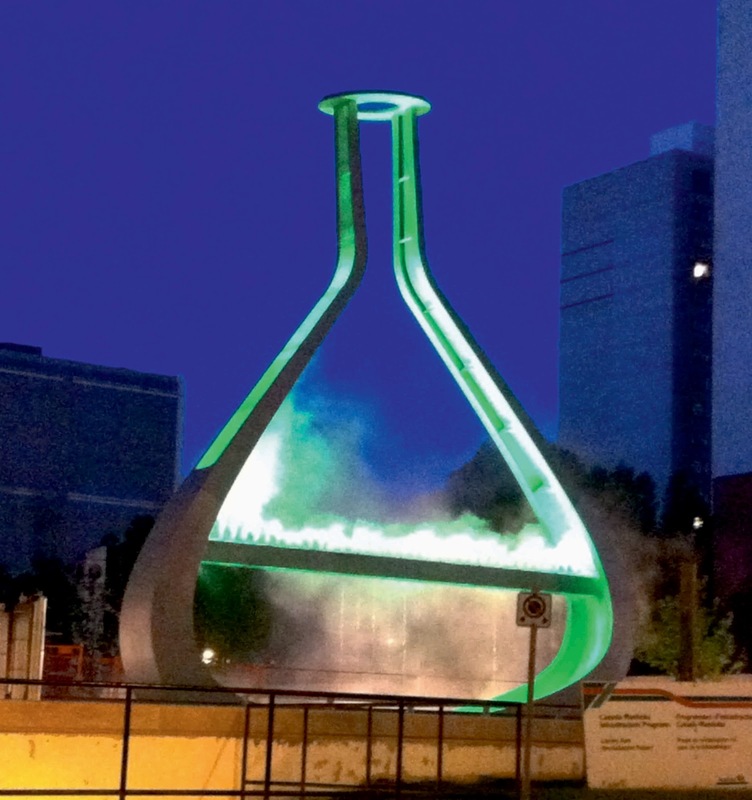 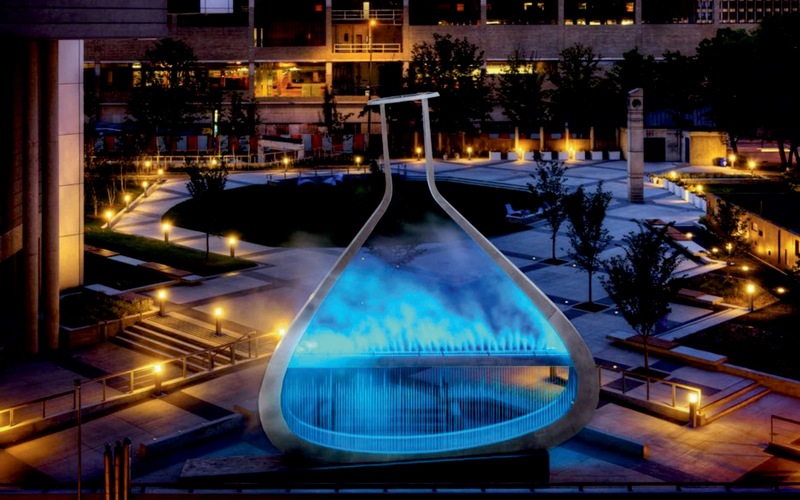 Together with artist Bill Pechet and lighting co-designer Chris Pekar of Lightworks, Lumenpulse provided the illumination for the urban sculpture, called Emptyful, in downtown Winnipeg. 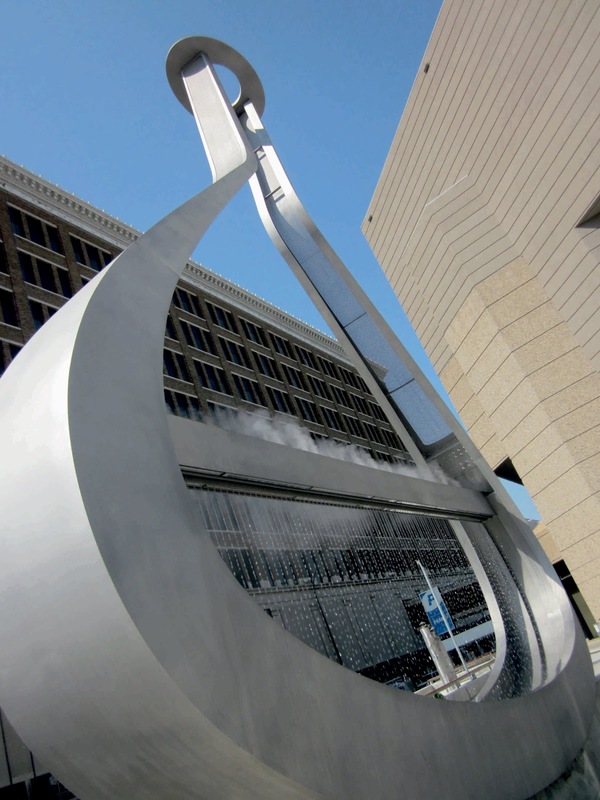 Standing 35 feet high and 31 feet wide, the stainless steel frame of a flask-like structure has been installed at the Millennium Library Plaza. 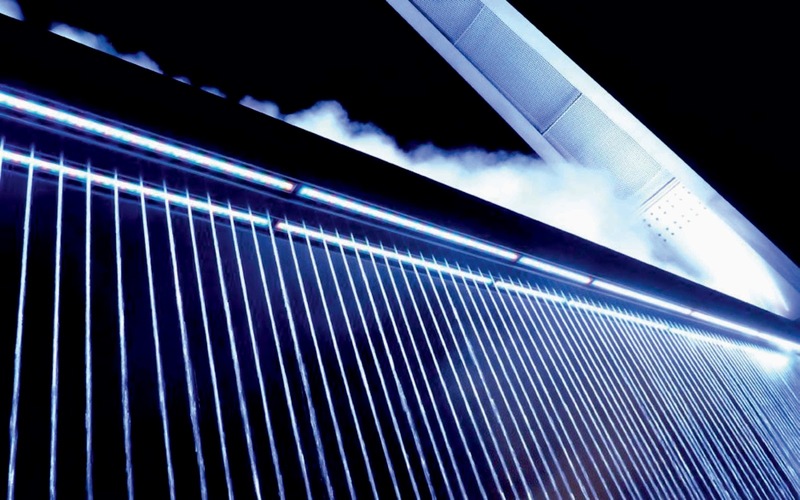 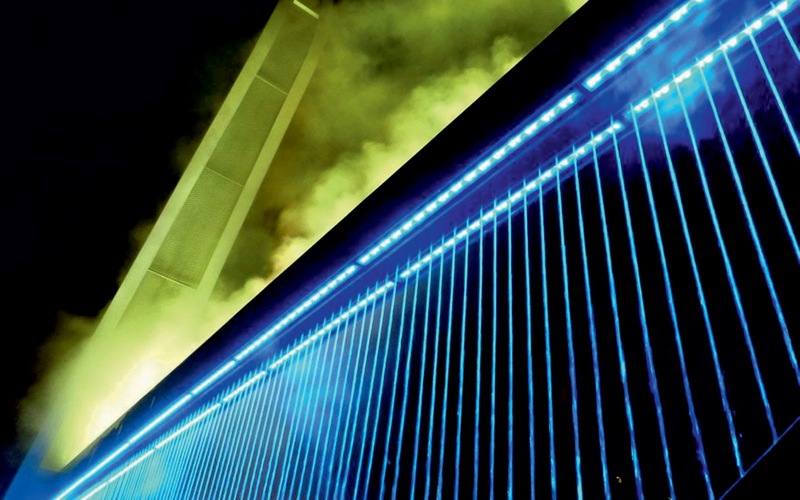 Lumenfacade RGB LED luminaires are embedded into a beam that transects the flask, lighting fog that emerges from above while a curtain of water cascades down. 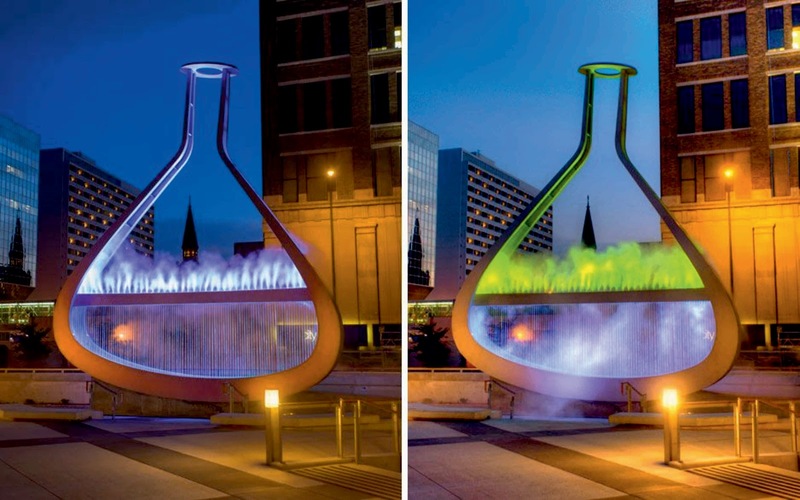 The enchanting lightshow comes to life at night, attracting hundreds of viewers to the plaza to see it in action. 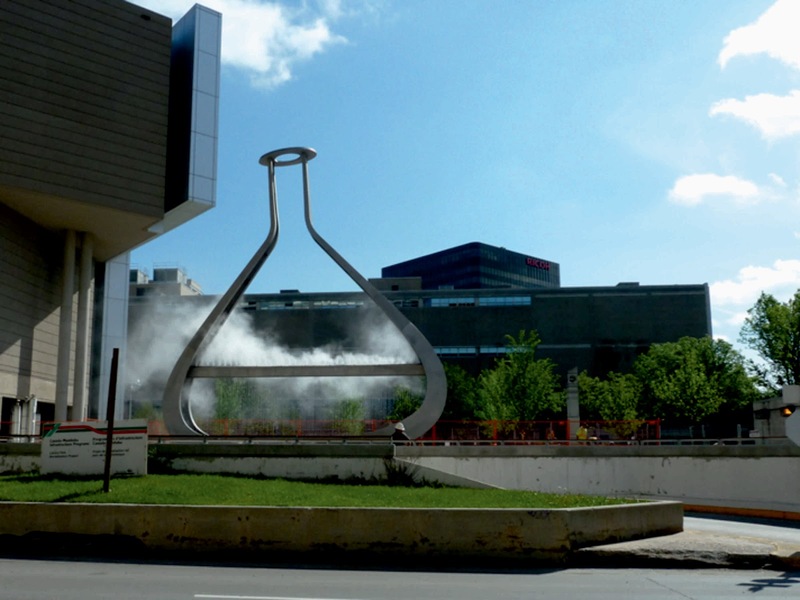 “It’s brought excitement into the city,” Pechet says.